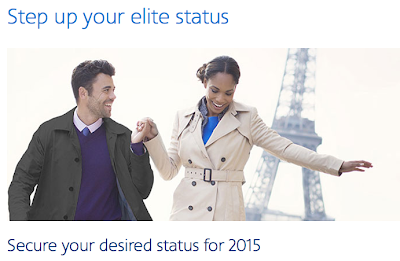 American Airlines AAdvantage's Elite Status Boost has returned for 2014. Essentially if you are within 15,000 elite qualifying miles or 15 qualifying segments of your desired status you can buy your way to that level. See the chart below for details. If you won't be close enough to boost your status right away but hold status for 2014 you can renew that status for 2015 (except Executive Platinum). Find out more here. KLM is well known for their Wild On Wednesday offers, primarily on departures from Europe but sometimes we see them here in Canada and such is the case today. The KLM Canada Wild on Wednesday offer is for Calgary to Paris (with a free stopover in Amsterdam if you like) for as little as $849 all in. The good news is it appears when you click through to the offer there are even lower fares at $807 all in! This offer must be booked by 11:59pm EST on November 13th for travel between January 10th and May 6, 2014. Find out more here.